The Holidays Are Coming » Embroidery Talk Has Moved! Although it might seem impossible while you’re baking in the August sun, the holidays aren’t that far away. Before we know it Halloween will be here, followed closely by Thanksgiving and Christmas. If you’re looking for some great threads and other items to use in your holiday decorating, EnMart can certainly help. One popular set of items for holiday decorating is our Holiday Thread Palettes. Our Thanksgiving and Christmas Palettes are made up of colors associated with and suitable for those holidays. We are also contemplating creating a Halloween palette for those of you who are embroidering witches and ghoulies and ghosties for Halloween costumes and parties. All thread palettes are made up of 5500 yard cones of Iris polyester thread. If you’re looking to add sparkle to your holiday designs, you should check out our Iris metallic thread. EnMart customers who have used this thread tell us it is the best metallic thread in the industry and sew more smoothly and with less breaks then other metallic thread. Currently, our metallic thread is available in gold and silver. Other metallic colors may be added in the next few months. If Christmas ornaments are on your holiday decorating list, EnMart can help you there too. We are adding sublimatible Christmas ornaments to our inventory in the next few weeks. 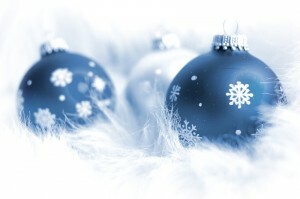 EnMart also offers all the other sublimation supplies you would need for your holiday decorating. Whether you’re looking to create a one of a kind set of holiday plates, or you want to create the perfect ornament to commemorate your child’s first Christmas, you can find what you need at EnMart. This entry was posted on Thursday, August 20th, 2009 at 10:02 am and is filed under Shop EnMart. You can follow any responses to this entry through the RSS 2.0 feed. Both comments and pings are currently closed.